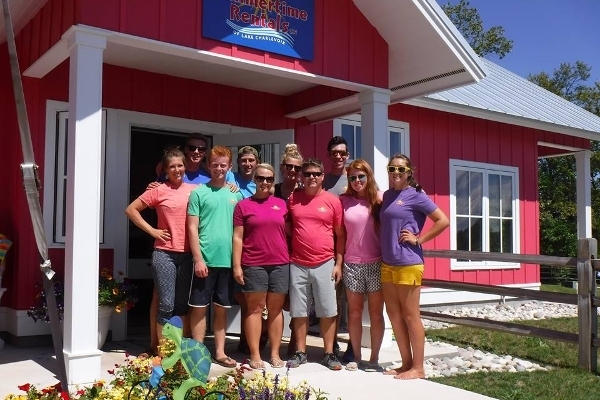 We are Lake Charlevoix’s watersports company since 2003 and maintain the nicest, newest, and most diverse rental fleet in the area. 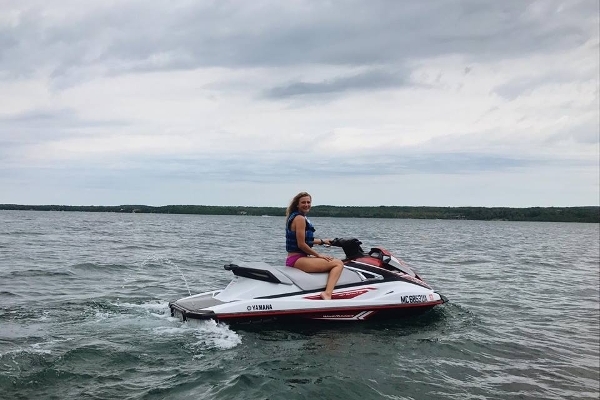 Our rentals consists of jet-skis, ski boats, tritoons, pontoons, fishing boats, water trampolines, kayaks, paddleboards, all sorts of tubes, skis, wakeboards, and more! Our business is solely focused on providing you with excellent customer service and a great rental experience! We also offer delivery to many nearby lakes including Walloon Lake. All of our rental rates are priced out-the-door (no tax added) plus fuel. 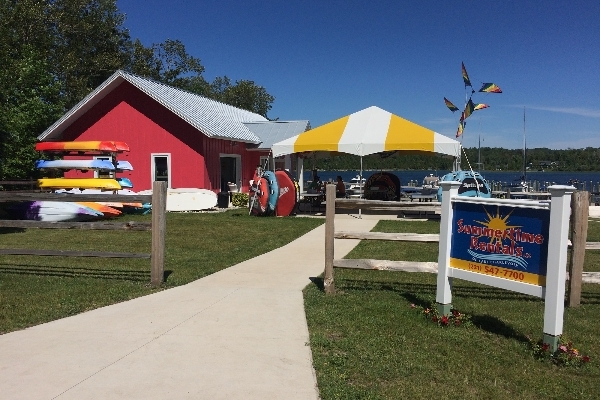 Come check out our new watersports store! We sell Connelly tubes, skis, wakeboards, life vests, ropes and more all at great prices! Plus you can grab some sunscreen, sunglasses, and beverages. We are located next to the Landing Restaurant! We are water trampoline specialists and sell and service Aquaglide water trampoline and waterpark products! Check out our beautiful location on Lake Charlevoix in the Ironton Narrows! 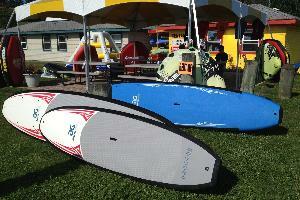 We have all the fun stuff...tubes, skis, wakeboards, kayaks, paddleboards, and more. Tritoon: Manitou 23ft Aurora VP with 150hp! 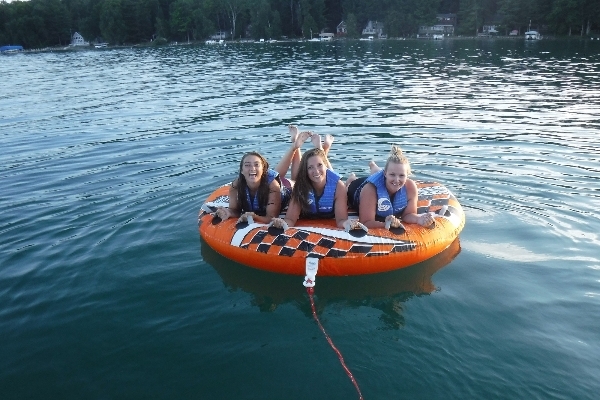 Take friends and family out tubing! 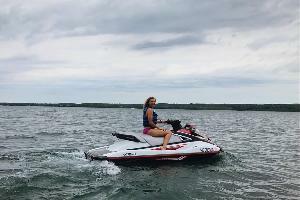 Yamaha VX 3-seater WaveRunner, powerful 110hp, 4-stroke, fuel-injected engine. 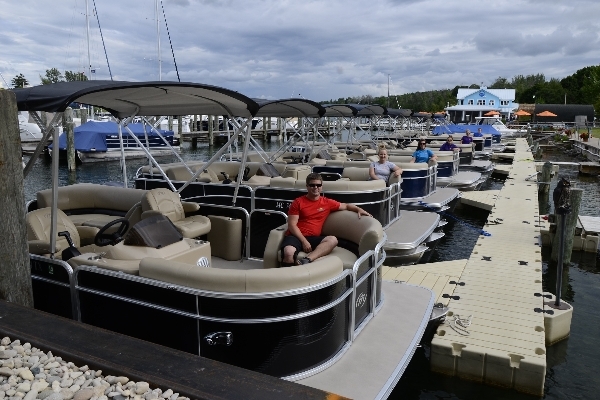 These have plenty of power, easily tows a tube and most skiers and wakeboarders up to about 200lbs. 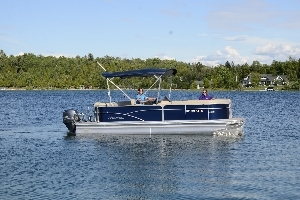 Premium high performance tritoon brand with premium options on this boat! 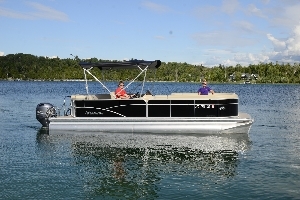 25ft Manitou Aurora 25 LE SHP Tritoon w/225hp Yamaha HO 4 stroke fuel-injected outboard. 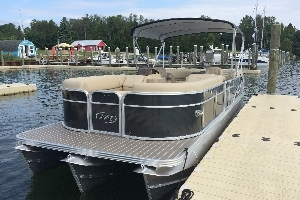 Premium tritoon brand with premium options on this boat! 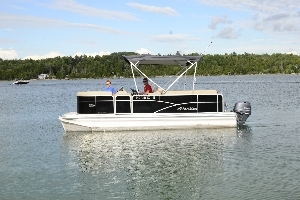 25ft Manitou Aurora 25 VP Tritoon w/150hp Yamaha 4 stroke fuel-injected outboard. Premium tritoon brand with just the right options! 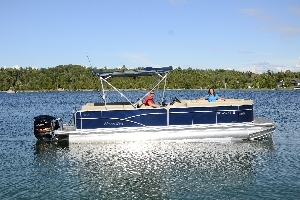 23ft Manitou Aurora 23 VP Tritoon w/150hp Yamaha 4 stroke fuel-injected outboard. Premium tritoon brand with just the right options! 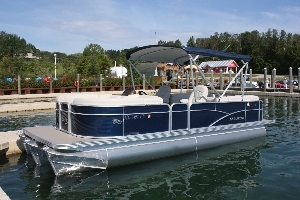 21ft Manitou Aurora LE 21 VP Tritoon w/115hp Yamaha 4 stroke fuel-injected outboard. 24ft Manitou Aurora LE with 90hp Yamaha 4 stroke fuel injected outboard. 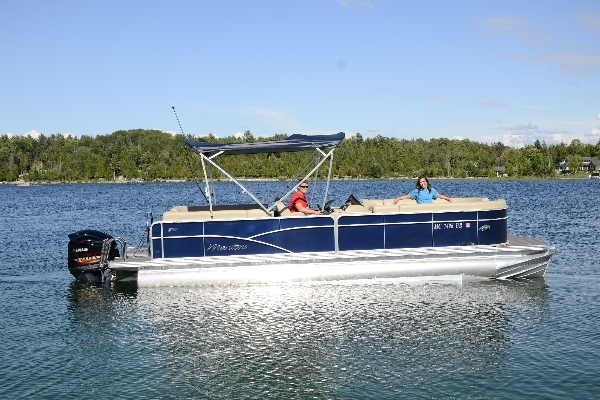 This is our largest pontoon and pulls tubes with ease. Boats seat 10-11 people comfortably depending on the size of the people. 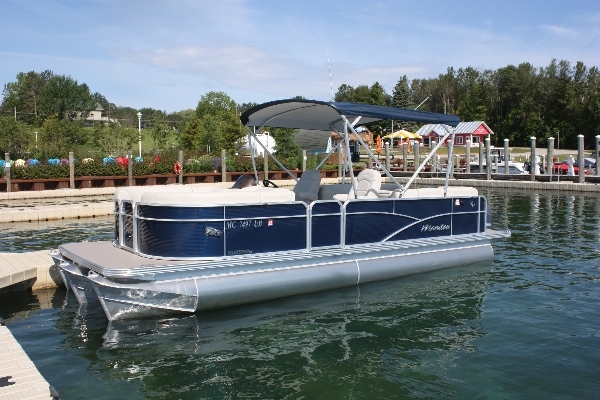 22ft Manitou Aurora LE Pontoon w/75hp Yamaha 4 stroke fuel-injected outboard. These boat comfortably holds 8-10 people depending on the size of the people. Limit of 10 persons or 1680lbs persons/gear. 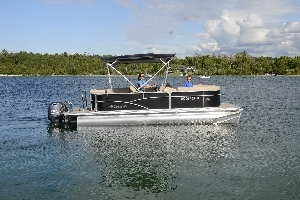 20ft Manitou 20 Aurora pontoon with 50hp Yamaha 4 stroke fuel injected outboard. There is comfortable seating for 6-9 depending of the size of the people. Maximum allowance is 9 persons or 1200lbs persons/gear. 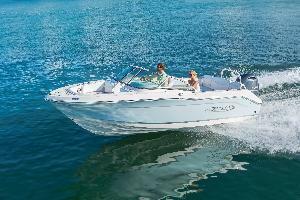 21ft Dual Console Robalo R207 w/150hp Yamaha 4-stroke fuel-injected outboard featuring a deep-V hull, high freeboard, and heavy duty construction creating a smooth, dry, and excellent riding boat for Lake Charlevoix. If your kids are bored just sitting at the beach then this is the cure! 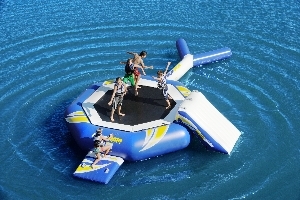 The 14 foot Supertramp is our most popular water trampoline. The 14 foot trampoline works perfectly for most families and gatherings. If your kids are bored just sitting at the beach then this is the cure! 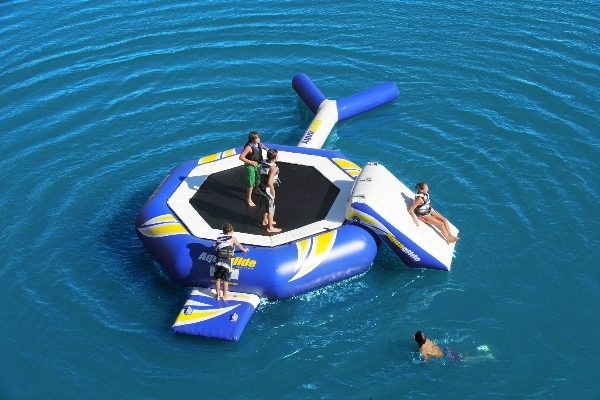 This is the largest of our water trampolines. This 17 foot trampoline is enormous and gives extra capacity for larger groups. The stand up paddleboard has been around for a while but has become increasingly popular over the past few years in Northern Michigan. Performance SUP for kids! This board packs a huge amount of fun into a small package. Specifically designed for kids under approximately 100lbs. It comes with kids adjustable paddle and life vest. Delivery available. 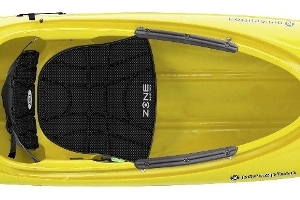 13.5ft Perception Tribe tandem sit-on-top style kayak with clip in padded seats. Kayak may be used solo or tandem. Rental includes kayak, 2 paddles, 2 vests, and 2 clip in padded seats. 12ft Perception with rear storage. 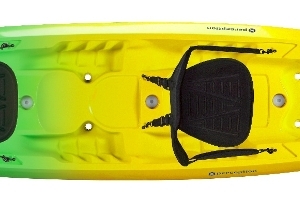 These are a more roomy option and provide more tractability than our 10ft kayaks. Rental includes kayak, paddle, and one kayak specific vest. 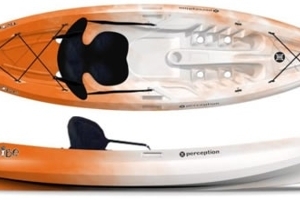 10ft Perception Prodigy kayak with padded seat and rear storage. 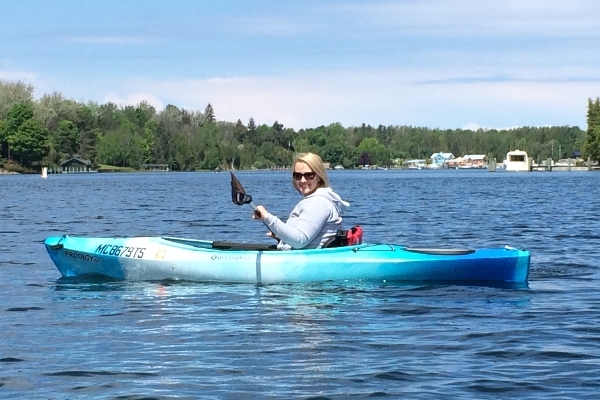 Rental includes kayak, paddle, and one kayak specific vest. 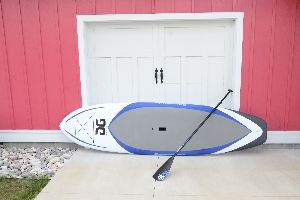 9.5ft Perception tribe 9.5 sit-on-top style kayak with padded seat and storage. Rental includes kayak, paddle, and one kayak specific vest. 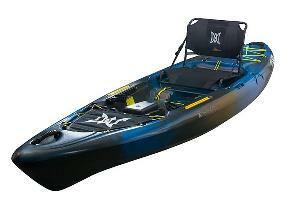 10ft Perception Pescador Pro fishing kayak with rod holders, chair style adjustable padded seat and storage. 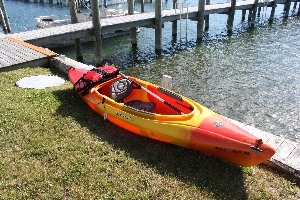 Rental includes kayak, paddle, and one kayak specific vest. This is a floating aqua volleyball court system that is perfect for gatherings of family and friends. 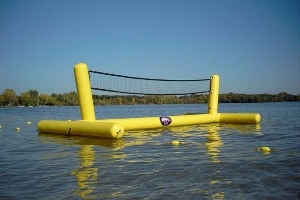 System requires a gradual sandy lake bottom and comes with floating court boundary markers and one volleyball. - We sell sunscreen, sunglasses, bottled beverages, tubes, waterskis, wakeboards, tow lines, and more. 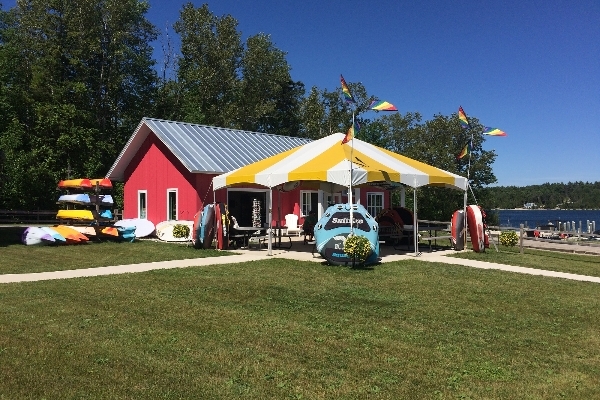 We are centrally located on Lake Charlevoix in Charlevoix, Michigan approximately 5 miles from downtown Charlevoix, 9 miles from Boyne City, and 13 miles from East Jordan. All three cities have free shoppers docks, restroom facilities, restaurants, and shopping. Our location provides easy access to the main and south arms of the lake. The Landing's Restaurant is immediately next door and is a great place to dock the boat and grab a bite to eat. Drop anchor at one of the sandy or protected areas for a swim and relaxation. It really does not get any better than Lake Charlevoix! Attractions nearby: amazing sunsets, sandy beaches, parks, downtown shopping, restaurants, Lake Charlevoix, Lake Michigan, zip-line adventures, Jordan River, cycling trails and paths, and more! Being on the water is definitely the highlight! I have read, understand, and agree to the "RENTAL POLICIES" and "HOW IT WORKS" sections of www.Summertime-Rentals.com. PLEASE NOTE: Information, including pricing, presented on the company website are designed to be accurate and current, however, there may be errors. We recommend calling if there are any questions, concerns, or clarifications. Changes may have taken place that have not yet been posted on company website.